ORLANDO, Fla. - January 15, 2014 - FlightScope®, a world leader in the development and manufacturing of 3D Doppler ball tracking monitors, golf radars and launch monitors for sports, today debuts its Xi model, the first personal FlightScope unit to hit the market. The Xi provides interactive measurement and feedback to help golf amateurs and enthusiasts improve their game and gain a competitive advantage. 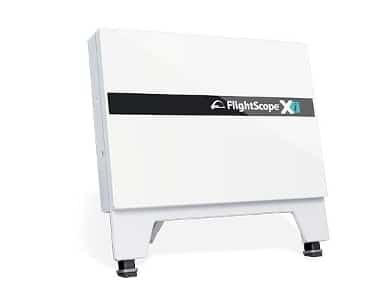 "We are pleased to announce the addition of Xi to our existing line of golf tracking radars," said Henri Johnson, founder and CEO of FlightScope. "FlightScope Xi gives the everyday consumer the opportunity to tap into our professional technology and greatly improve his or her game. Additionally, it's great for golf coaches looking to loan or rent out launch monitors to students." Fashioned for both indoor and outdoor use, FlightScope boasts characteristics of the company's professional unit at a fraction of the cost. The portable device gives real-time measurements on shot distance, precise landing position, club speed, ball speed and smash factor. Users can see a virtual representation of their swing and can even track their performance on MyFlightScope.com. "Unmatched accuracy and affordability make the FlightScope Xi an ideal practice tool," 2012 PGA National Teacher of the Year, Michael Breed said. "I love that my students can use the Skills app to play FlightScope Combines and improve their game". The FlightScope Xi has a built-in battery and uses Wi-Fi to connect directly to any iPhone, iPad, and Android mobile device. To find out more about FlightScope® or the new Xi model, visit www.FlightScope.com. The FlightScope Xi golf launch monitor be launched at the PGA Merchandise Show. To find out more information call FlightScope Sales at 407-967-7121.